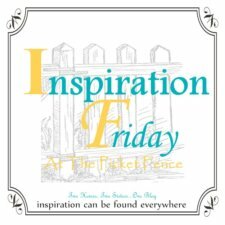 I'm popping in from Inspiration Friday at The Picket Fence! I really love your window box all decked out for Fall. I wish I had one under my master bedroom window. I use planters on my porch rails though. So, that will have to suffice for now. You did a great job with all your decorating. It looks so welcoming and colorful. How absolutely beautiful! I have such a love of window boxes and sadly don't have any on my own home....guess I'll just have to enjoy yours! :-) Thanks so much for sharing this with us last weekend at Inspiration Friday! Jody, you have such an eye for putting things together! I found you through the Outdoor Party at Thrify Chick. I'm your newest follower. Would love it if you stop by my blog! I am doing my window boxes today using inspiration from yours! Thanks for sharing your great ideas! Your house looks great!